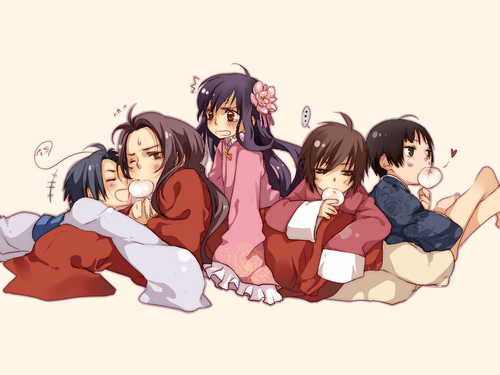 China & his children. . HD Wallpaper and background images in the hetalia - axis powers club tagged: south korea china taiwan hong kong japan. This hetalia - axis powers photo might contain anime, banda desenhada, manga, desenhos animados, mangá, quadrinhos, retrato, headshot, close up, and closeup. Lol. taiwan looks like a friend who moved to...taiwan...in..2nd....grade.